General TV Channel / It is a 100% Guatemalan television channel that broadcasts its programming via satellite, cable and Internet. 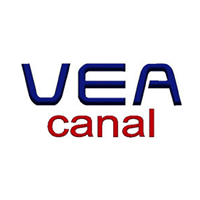 Vea Canal offers all Guatemalans a diversity of opinions on the current situation that we are living in order to build together a country where justice is respected, freedom is fostered and built on the truth, the prosperity of our environment. With a concept of formative, educational and entertaining programming that seeks to collaborate with the growth of Guatemala and the Central American region.